The changing social scenario together with economic growth and an increase in job opportunities has to a great extent reduced gender inequality and has resulted in more and more older women seeking help from infertility clinics. Fertility and aging have always been closely linked and the age of the female partner remains the single most important factor in predicting success with treatment. Although tests for the ovarian reserve are an important informative tool and are helpful in selecting treatment options, they are poor predictors of the outcome. Objective : To determine the predictive factors for pregnancy after controlled ovarian hyperstimulation (COH)/intrauterine insemination (IUI). Design : Prospective observational study. Setting : University-level tertiary care center. Patients and Methods : 366 patients undergoing 480 stimulated IUI cycles between November 2007 and December 2008. Interventions : Ovarian stimulation with gonadotrophins was initiated and a single IUI was performed 36 h after triggering ovulation. Main Outcome Measures : The primary outcome measures were clinical pregnancy and live birth rates. Predictive factors evaluated were female age, duration of infertility, indication for IUI, number of preovulatory follicles, luteinizing hormone level on day of trigger and postwash total motile fraction (TMF). Results : The overall clinical pregnancy rate and live birth rate were 8.75% and 5.83%, respectively. Among the predictive factors evaluated, the duration of infertility (5.36 vs. 6.71 years, P = 0.032) and the TMF (between 10 and 20 million, P = 0.002) significantly influenced the clinical pregnancy rate. Conclusion : Our results indicate that COH/IUI is not an effective option in couples with infertility due to a male factor. Prolonged duration of infertility is also associated with decreased success, and should be considered when planning treatment. Background :Obesity has become a major health problem across the world. In women, it is known to cause anovulation, subfecundity, increased risk of fetal anomalies and miscarriage rates. However, in women going for assisted reproduction the effects of obesity on egg quality, embryo quality, clinical pregnancy, live birth rates are controversial. Objectives :To assess the effect of women's body mass index (BMI) on the reproductive outcome of non donor In vitro fertilization (IVF)/Intracytoplasmic sperm injection (ICSI). The effects of BMI on their gonadotrophin levels (day 2 LH, FSH), gonadotrophin dose required for ovarian stimulation, endometrial thickness and oocyte/embryo quality were looked at, after correcting for age and poor ovarian reserve. Materials and Methods : Retrospective study of medical records of 308 women undergoing non donor IVF cycles in a University affiliated teaching hospital. They were classified into three groups: normal weight (BMI<25 kg/m 2 ), overweight (BMI>25 <30 kg/m 2 ) and obese (BMI>30 kg/m 2 ). All women underwent controlled ovarian hyper stimulation using long agonist protocol. 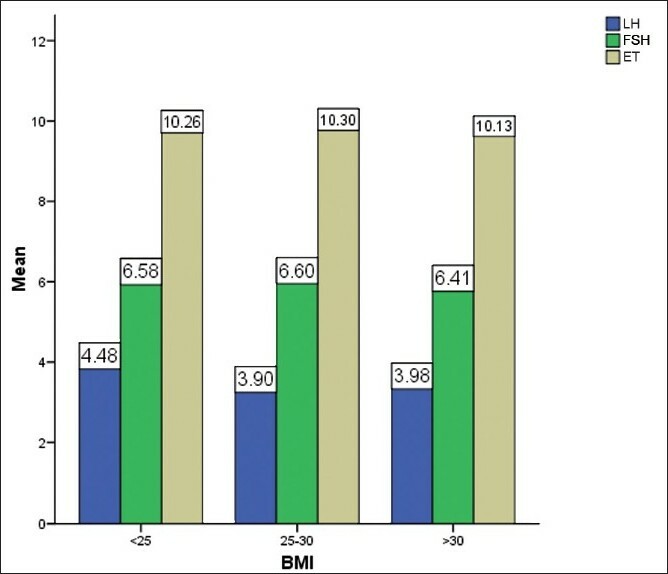 Results : There were 88 (28.6%) in the normal weight group, 147 (47.7%) in the overweight and 73 (23.7%) in the obese group. All three groups were comparable with respect to age, duration of infertility, female and male causes of infertility. The three groups were similar with respect to day 2 LH/FSH levels, endometrial thickness and gonadotrophin requirements, oocyte quality, fertilization, cleavage rates, number of good quality embryos and clinical pregnancy rates. Conclusion :Increase in body mass index in women does not appear to have an adverse effect on IVF outcome. However, preconceptual counselling for obese women is a must as weight reduction helps in reducing pregnancy-related complications. Aims : To evaluate if 2-h post glucose insulin level is an effective tool to monitor insulin resistance in response to metformin therapy, in infertile women with polycystic ovarian syndrome (PCOS). Settings and Design : This prospective observational study was carried out in a tertiary care infertility clinic. Materials and Methods : 40 women with PCOS were categorized as having insulin resistance if fasting or 2-h post glucose insulin levels were >25 or >41μU/ml respectively. Post glucose insulin was compared before and after six months of metformin therapy along with other clinical, hormonal and metabolic parameters by using McNemar and the Student's t-test. Results : Fasting insulin was elevated in 4 (10%) and post-load insulin in 34 (85%) patients; after metformin therapy respective values were 2 (5%) and 16 (40%). Metformin therapy reduced post glucose insulin levels (P<0.001), improved the regularity of periods (P<0.001) and resulted in reduction of LH levels (P<0.001), total testosterone (P<0.001) and mean Body mass index (BMI) (P=0.047). Metformin therapy did not alter waist-hip ratio and fasting insulin levels. Conclusion : 2-h post glucose insulin level is an effective tool to monitor insulin resistance in PCOS patients and improves significantly after metformin therapy, similar to improvements observed in clinical, hormonal and metabolic parameters. Objective : To evaluate the reproductive outcome following hysteroscopic septum resection in patients with primary and secondary (recurrent pregnancy loss [RPL] and bad obstetric history [BOH]) infertility. Study Design : Retrospective study. 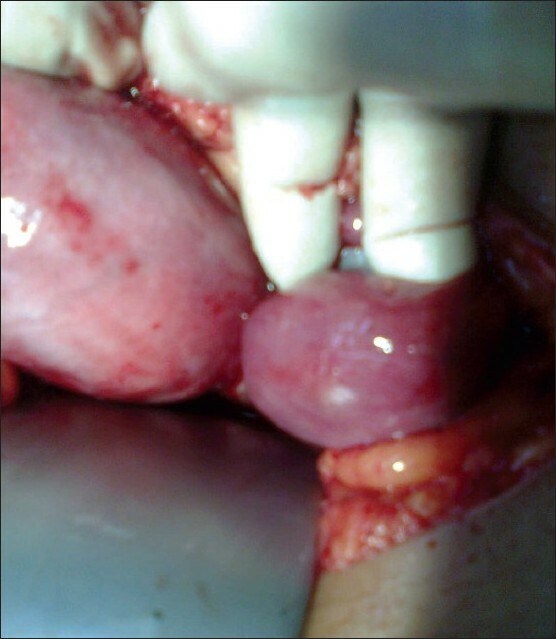 Materials and Methods : Hysteroscopic septum resection was performed on 26 patients with a history of either recurrent pregnancy loss, BOH or infertility. The septum resection was performed using a bipolar versapoint system. Reproductive performance of these patients after septum resection was analyzed. The main outcome measures were clinical pregnancy and live birth rates. 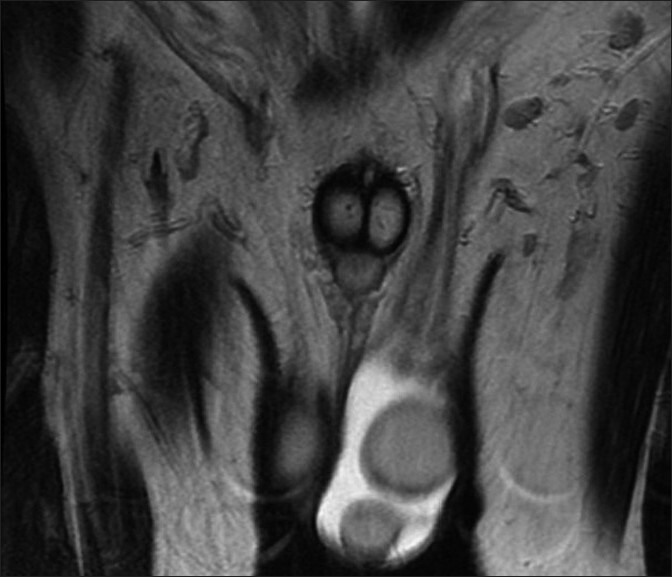 Results : Hysteroscopic septum resection was performed on seven patients with the history of secondary infertility. Post operatively, the pregnancy rate was 86% (n=6), and the live birth rate was 67% (n=4). After septum resection in 19 primary infertile patients, 6 (32%) patients conceived which resulted in live birth rates of 67% (n=4). Conclusion : Hysteroscopic septum resection using bipolar versapoint system is an effective and safe approach for the removal of septum. Hysteroscopic septum resection in women with septate uterus significantly improves the live birth rates and future fertility is not impaired. Background : In protein expression, post-translational modification is an important process. It is also an important process in human reproductive science. ERp57 is a molecule that is mentioned for post-translational modification. ERp57 is a component of human sperm acrosome proteins. However, the data on post-translational modifications of ERp57 is limited. Aim: The aim of this work is to assess potential protein post-translational modifications in ERp57 protein. Settings and Design : A descriptive computational bioinformatics study. Materials and Methods : In this work, potential protein post-translational modifications in ERp57 protein were assessed via a standard bioinformatics technique. Statistical Analysis Used : Bioinformatics analysis. Results : There are three post-translational modifications within ERp57 from bioinformatics analysis. Conclusion : This new knowledge can be useful for better realization on molecular process of male infertility. Background and Objectives : Fluorosis has become an endemic problem worldwide. Fluoride has its effect on various organs, including the reproductive system, although there are controversial reports over it. Thus, the present study was designed to study the effect of sodium fluoride (NaF) exposure for different durations. Materials and Methods : 30 healthy rabbits were divided into three equal groups. Group I was fed on a standard diet for 30 days, Group II was fed on sodium fluoride (20 mg/kg body weight) for 30 days and Group III was fed on sodium fluoride (20 mg/kg body weight) for 60 days. Sperm count, motility, progressive motility and weight of testis and epididymis were measured and compared with the control group. Results : We observed that in the group exposed to NaF for 30 days (Group II), there was a significant decrease in all the parameters except the testicular weight and in the group on exposure of 60 days (Group III), there was a significant decrease in all the parameters when compared with the control group (Group I). On applying the Tukey post-hoc test between Groups II and III, we observed that there was a significant decrease in the sperm count while the other parameters showed a non-significant decrease. 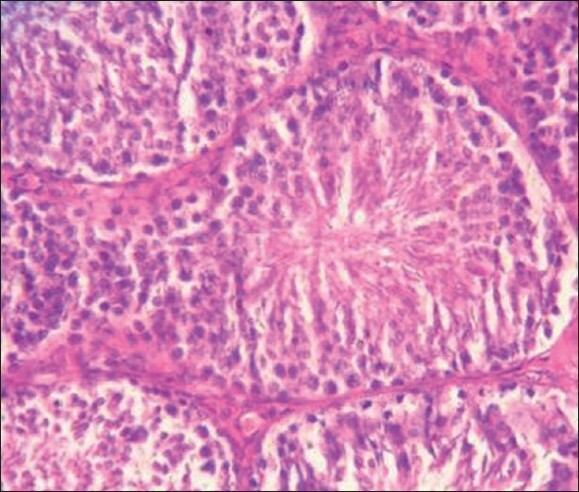 Testicular histology was confirmatory for the above findings. Conclusion : The present study demonstrates that fluoride hampers the reproductive functions of male rabbits and is proportional to the duration of fluoride exposure. Maturation arrest of human oocytes may occur at various stages of the cell cycle. A total failure of human oocytes to complete meiosis is rarely observed during assisted conception cycles. We describe here a case of infertile couples for whom all oocytes repeatedly failed to mature at germinal vesicle (GV) stage during in vitro fertilization/Intra cytoplasmic sperm injection (IVF/ICSI). The patient underwent controlled ovarian stimulation followed by oocyte retrieval and IVF/ICSI. 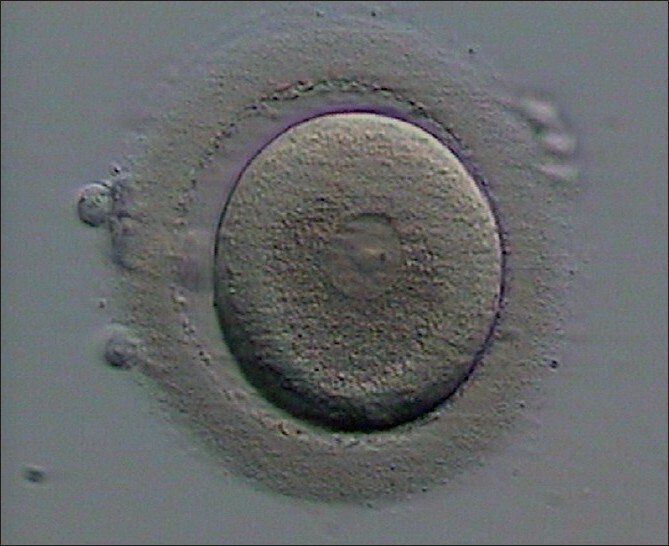 The oocytes were stripped off cumulus cells prior to the ICSI procedure and their maturity status was defined. The oocyte maturation was repeatedly arrested at the GV. Oocyte maturation arrest may be the cause of infertility in this couple. The recognition of oocyte maturation arrest as a specific medical condition may contribute to the characterization of the currently known as "oocyte factor." The cellular and genetic mechanisms causing oocyte maturation arrest should be the subject for further investigation.